2015 marks the 120th anniversary of sf cinema. This is the first part of a year-by-year list of films I’d recommend (not always for the same reasons), and there are a few years where there is little to recommend for any reason. I have always semi-relied on Phil Hardy’s Aurum Film Encyclopedia: Science Fiction for a quick guide to early sf films, beginning with the Louis Lumiere’s La charcuterie mécanique/The Mechanical Butcher from 1895. 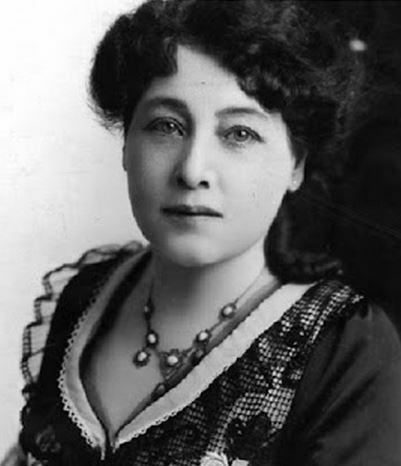 I have also for year known about Alice Guy-Blaché, the first woman filmmaker and the first woman to own and run a studio, who made over a thousand films between 1896 and 1920 (about a third of which survive) and who until recently has been consistently written out of the history of cinema. Being a little slow-witted, it never occurred to me to crash these things into each other to see what would emerge, and yesterday purely by chance while looking for something else entirely I ran into Chapellerie et charcuterie mécanique/Automated Hat-maker and Sausage-Grinder from 1900. It is one of a number of films that play on the same idea as the La charcuterie mécanique, such as George A. Smith’s Making Sausages (1897) and Edwin S. Porter’s Dog Factory (1904). It is possible that one of Alice Guy-Blaché’s earlier films could be considered science-fictional, but Chez le magnétiseur/At the Hypnotist’s (1897) pushes even my broad definition and I don’t think L’utilité des rayons x (1898) has survived – it sounds promising but I’ve yet to find any information on it.